The beating heart of the Greek nation, Athens is a city that’s risen like a phoenix from its ashes several times in its long history. It’s a city of ritzy restaurants, boozy bars and cutting-edge clubs open until dawn as well as a stream of seminal archaeologic sites and several world-class museums. Add a coastline dotted with sandy beaches within driving distance, and you have a destination that’s both inspiring and irresistible. 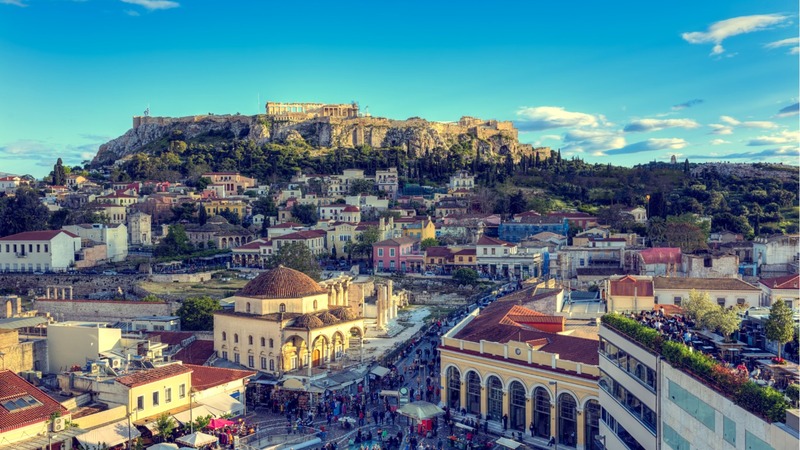 The old town centre hugging the rock of Acropolis with its narrow alleys, ancient monuments and neoclassical mansions overflows with tourists, but its unquestionable charm will still overwhelm you. There are many restaurants and cafés to choose from but seek out Brettos with its floor-to-ceiling selection of wines and ouzos. If you’re visiting in the summer, finish the day at open-air cinema Paris and watch a movie under the stars, snacking on roasted pumpkin seeds – the ultimate Athenian experience. Proximity to the old Royal Palace was highly desirable around the beginning of the 20th century so the neighbourhood of Kolonaki, stretching out from the feet of Lycabettus Hill, became the residence of moneyed Athenians. It’s still liberally sprinkled with palatial mansions, some of which house government buildings, embassies or private museums. Visit the Goulandris Museum of Cycladic Art with its collection of 5,000-year-old statuettes or the Benaki museum which takes you through every period of Greece’s long history. 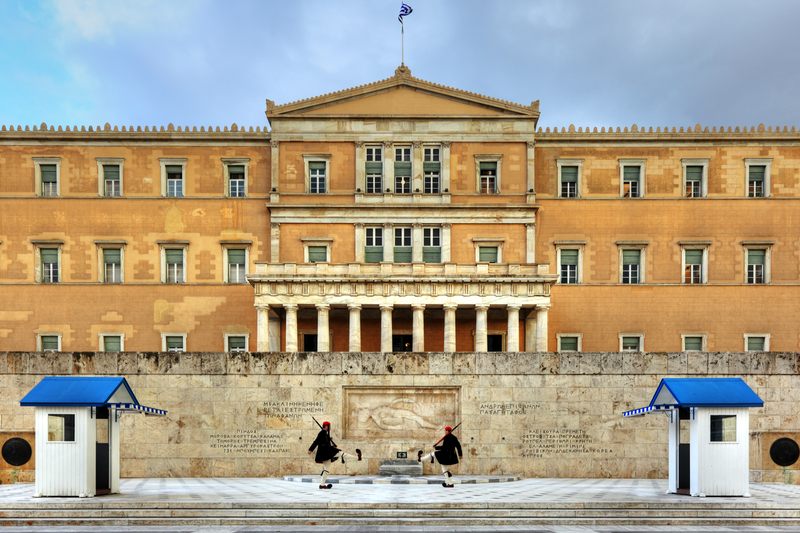 Athens’ most famous square is dominated by the elegant neoclassical lines of the sunshine yellow Houses of Parliament, formerly the Royal Palace. Outside, the Tomb of the Unknown Soldier is guarded by the evzoni, the eminently Instagrammable Presidential Guards wearing red fez hats, pleated kilts and tufted moccasins. After standing in the sun at 1pm to witness the ceremonial changing of the guard, cool down next door in the National Gardens of Athens, one of the city’s large green spaces and a family favourite. 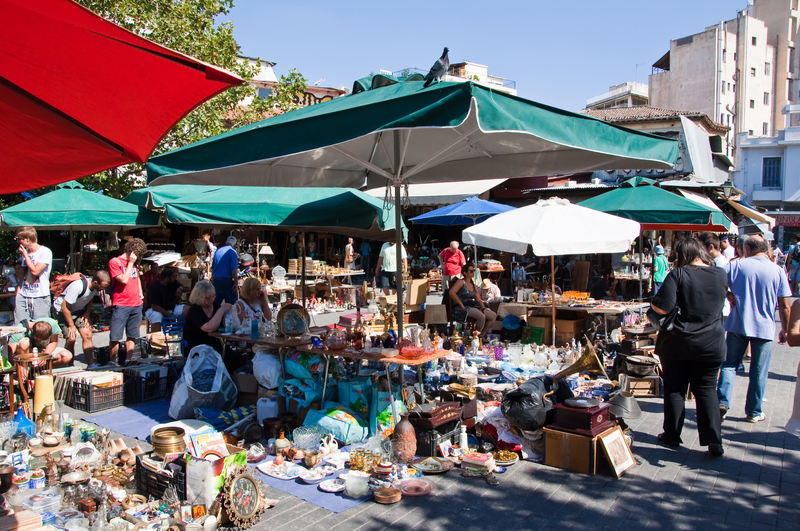 Visit Monastiraki any time of the night and you’ll be knocked for six by the hustle and bustle outside the station. Hawkers peddle everything from children’s toys to glow sticks while groups of friends gather in the square. This is where Athenian nightlife radiates out from: follow the lights and you’ll find small, intimate bars, friendly ouzo-drinking dives, fast food joints and chic, exclusive clubs. Alternative and graffiti-strewn, Exarcheia is the haunt of liberal students, anarchists and all-round rebellious souls who gather in cafés around the main square debating the latest anti-authority pamphlet throughout the night. There are some good restaurants in the side streets like Ama Lachei on Kallidromiou St, as well as music venues, such as the legendary An (‘If’) where you might bump into a famous international group playing in cosy club surroundings. 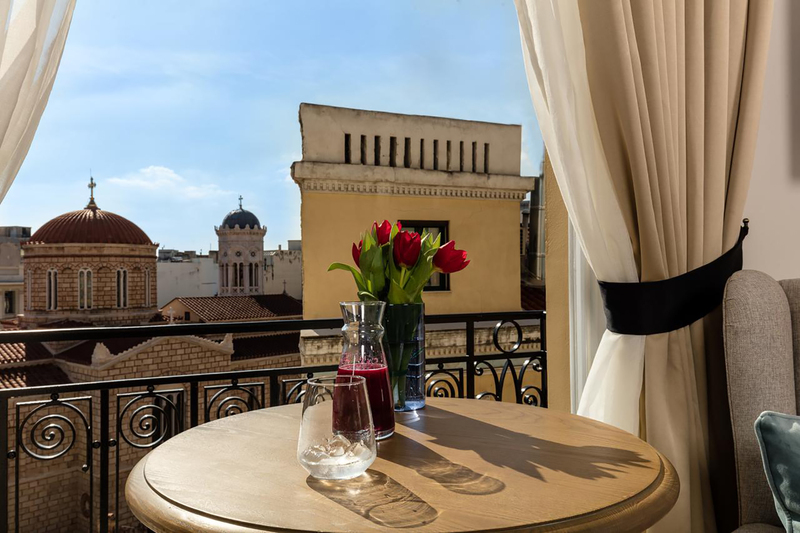 If you want to be right in the throbbing centre of modern Athens with all its pros (proximity to everything) and cons (noise), look no further than Athens Mansion Luxury Suites located in a listed building with an oasis of a roof terrace to chill out in. Condo hotels featuring large spaces and state-of-the-art facilities are a recent trend in the capital and Thission Luxury Homes is the latest arrival, with seven spacious apartments that are ideal for families. If you prefer somewhere cosy, snuggle up at Home & Poetry, a neoclassical stylish hotel in Plaka whose terrace bar delivers a close view of the Acropolis night illuminations. For a sleek look, check-in at the contemporary Athens Tiare Hotel in Omonia with extra business touches like free smartphones in every room, laptop rental and VIP airport and ferry transfers. 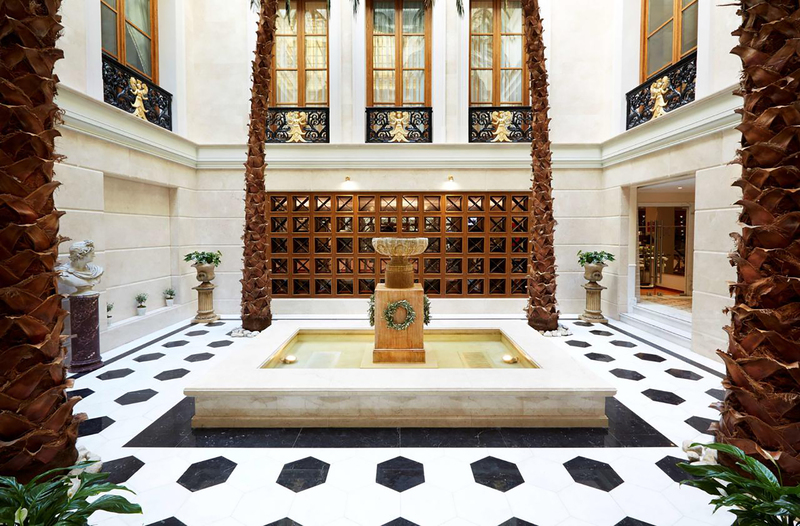 If you want to flash the cash, Grande Bretagne, abode of politicians, kings and rock stars on Syntagma square, is hard to beat, although Andronis Athens, a comfortable boutique hotel near Monastiraki with an excellent in-house café-restaurant comes close. Make sure you try bougatsa, a kind of filo pastry with custard filling, dusted with sugar and cinnamon. Join the queue along with the rest of Athens at Bougatsa Thessaloniki on Iroön square. Or, pick up a koulouri. 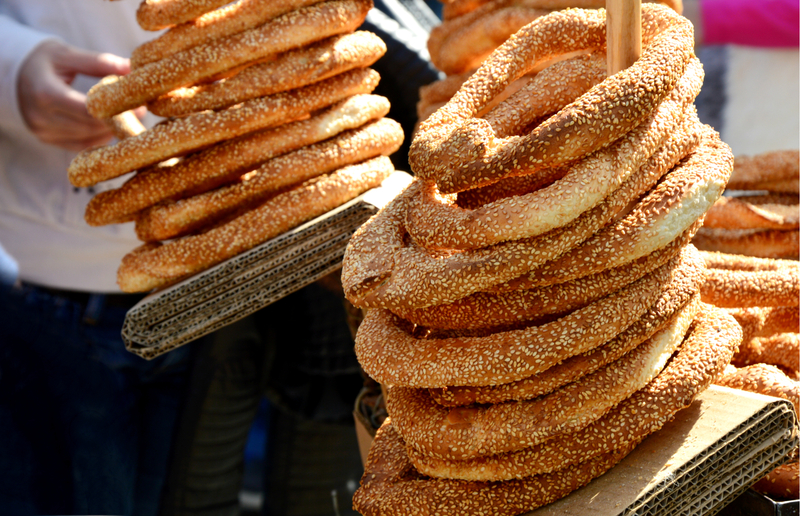 Sold on every street corner for around a euro, the bread rings covered in sesame seeds are crunchy on the outside, soft and chewy on the inside and make an ideal breakfast or on-the-go snack. For a taste of Athenian street food, Epirus, tucked away inside the Central Meat Market is one of the last oinomageireia left standing in the capital (family restaurants offering home-brewed wine and food), where the dishes are laid out in the kitchen for you to choose. 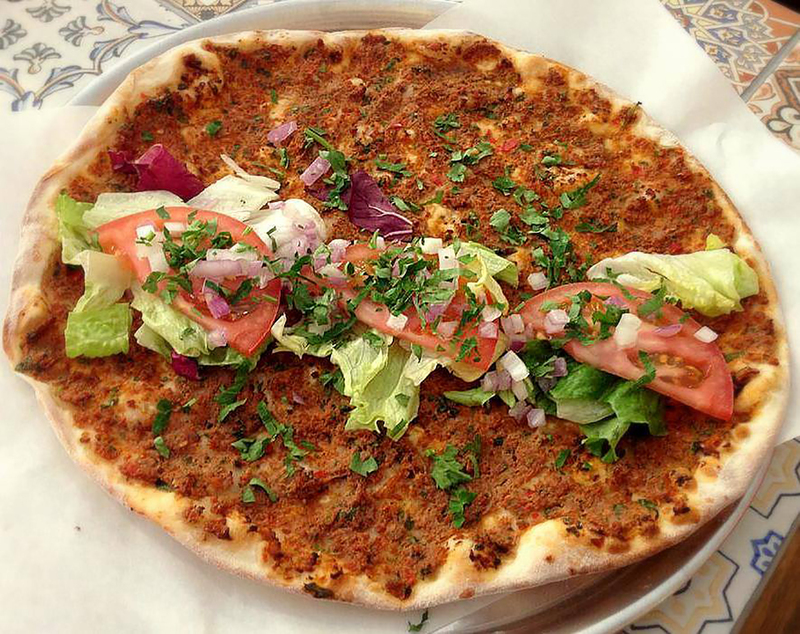 The long association with the Ottoman Empire has resulted in a Turkish-inspired cuisine called politiki (associated with Istanbul) and smyrneïki (from Smyrna). One of the best places to taste its dishes is Pera on Aiolou street – you’ll smell the aromatic spicy food long before you enter. Finally, if you want a twist on traditional Greek cooking with international aspirations, nab a table at the Michelin-starred Hytra at the Onassis Cultural Centre on Syngrou Avenue. Yes, it’s as impressive as you expect. The Parthenon has become the blueprint for lookalike buildings the world over but there’s only one original. Be prepared for a lot of walking: the combined ticket to the Acropolis allows you access to another ten archaeological sites including the Agora (Market) and Kerameikos (the ancient cemetery), both of which are as unmissable. Take the pedestrianised path below the Acropolis past the Herod Atticus Roman theatre, around Filopappou Hill and the 12th-century church of Agios Georgios Loumbardiaris to the stony mound of Pnyka. Democracy was born here 25 centuries ago, as Athenian citizens sat down to hear orators speak and to vote on public matters. Continue through the old Roman and Ottoman centres and finish at Thission station where the nearby Temple of Hephaestus is arguably one of the best preserved classical monuments in Greece. 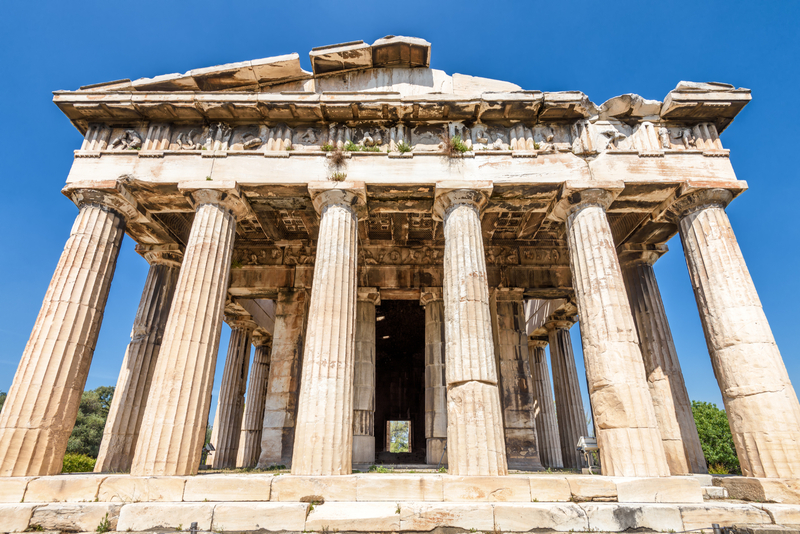 One of the world’s must-visit museums whose artefacts recount Greece’s past: from the treasures of Mycenae and the mask of Agamemnon to the much-photographed bronze statue of Poseidon, everything you wanted to know about Ancient Greek art is here. Don’t miss the Antikythera mechanism, an astonishing computer-like contraption well ahead of its time, whose puzzling structure has only recently been deciphered. Monastiraki was the grain market in Ottoman times and on a cursory look, nothing has changed. The commotion brings to mind street scenes straight out of Damascus or Cairo: shopkeepers tout loudly for business, clients haggle and crowds meander the stalls aimlessly. The bargains you’ll find here range from leather goods and jewellery, to army surplus garb, antiques, shoes, suitcases and ceramics. Factor in time to scour the streets of Psyrri, a neighbourhood around Iroön square where numerous relaxed bars offer unique signature cocktails. Clumsies on Praxitelous St or Baba Au Rhum on Klitiou are regularly voted among the best bars in the world with avant-garde mixologists whipping up creative concoctions. ‘Baba’, as it’s affectionately called, with more than 100 kinds of rum, is a game-changing bar that started a mixology craze transforming the capital’s cocktail scene into one of the most riveting in Europe. Slink off for coffee and a cake at Zonar’s near Syntagma square. Established in 1937, it’s the most historic teahouse in Athens, on whose tables political deals and artistic alliances are still being struck. Take selfies in Syntagma square and afterwards begin roaming and rambling in the surrounding side streets all the way to Plaka. Fortify yourself at Fresko Yogurt Bar. 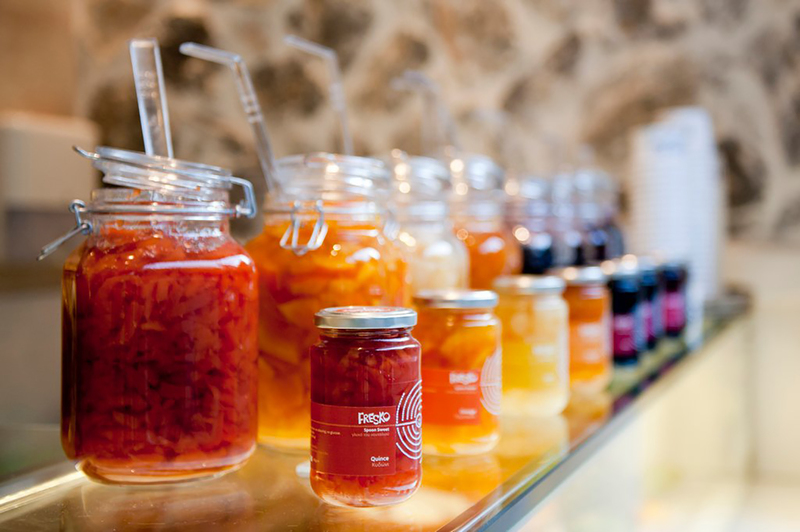 Try spoon sweets – sugary, preserved whole fruits like cherry, quince or plum – in the traditional way with a glass of iced water or over Greek yoghurt. Dine in style at Galaxy restaurant on the roof of the Hilton hotel. Let your hair down afterwards at the rooftop bar-club where a DJ plays through to 4am. Spend the morning on the sacred rock of the Acropolis. Start early to dodge the masses and avoid the stark midday sun. Admire the Parthenon friezes, those that escaped Lord Elgin that is, as well as the five statuesque Caryatid maidens from the Erechtheion, in the Acropolis Museum that’s more than a match for the real thing opposite. 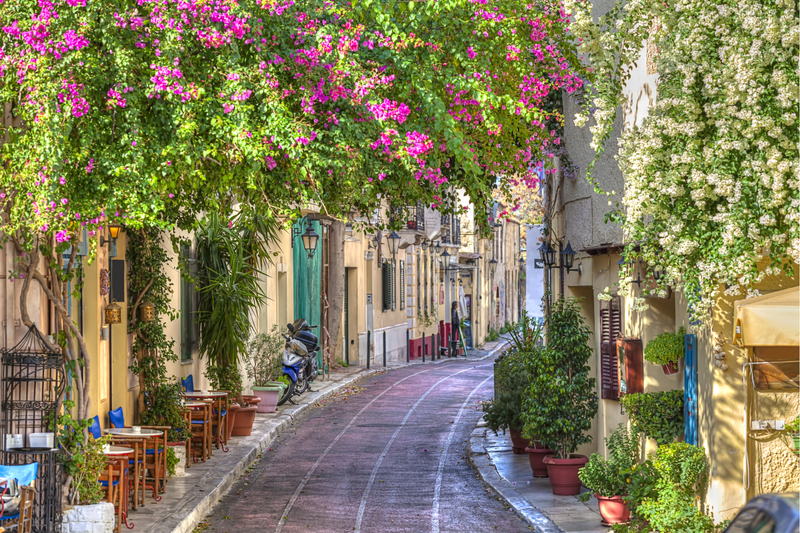 Walk and learn with Alternative Athens, an innovative travel company that explores everyday Athenian life through different story angles like the political Who will save Athens?, the role-playing Aristophanes’ Games or an entertaining Mythology storytelling walk. Ride the cable car to the top of Lycabettus Hill – it operates until 2.30am ­– for a romantic dinner at Horizons restaurant (reservations advised). The panoramic views of the glistening city lights below are incredible. Be wooed by bike on a relaxed morning tour through quiet streets in the centre, away from traffic. Relax with a massage in a restored, all-marble Turkish hammam, a reminder of the city’s long Ottoman history. Sit back and relax then enjoy the blood-red hibiscus tea afterwards. Sink your teeth into a souvlaki (chicken and beef skewers with or without pita) at Kostas on Agias Irinis square. The special tomato sauce that adds an extra zing has been a family secret since the 1940s.